Just because two bone fragments fuse together does not mean the appendage is healthy. The only remedy is for the doctor to re-break the bone, so it can be properly set. Yesterday I had to break a bone. But breaking something involves hurting someone, and no matter how anesthetized you might think they are, you know it’s going to be painful. I didn’t realize how much it would hurt me too. And I wondered if surgeons sometimes grimace when they crack something that appears to function. Or do they just plunge in and do it because they know it will ultimately help? This is why I’m a writer not a doctor. Yesterday was a hard day. Not just doing the hard thing, but also by staying strong once I got there. It’s like when you do a double kettle bell push press and have to overhead walk a thousand meters. (Okay, maybe it’s not quite that far, but it ALWAYS feels like it). (And yes, even the most painful subjects have Crossfit analogies). But when you have your arms locked out and your forearms are going numb and your face gets contorted and you’re barely able to move forward without stumbling, you have two options: drop them and do a hundred burpees or move forward. I think I’ve mentioned before my long-standing hatred for burpees. If I can move forward, no matter how long it takes me, then I’m good. Stopping is the real problem. When you stop, you get comfortable, and it’s twice as hard to get going again. When you stop, doubts and fears can creep in that make you second guess yourself. When you stop, the clock keeps running. So don’t stop. Keep moving. One painful step at a time. Do what is right, because your voice matters just as much as that of any creature with an orifice. 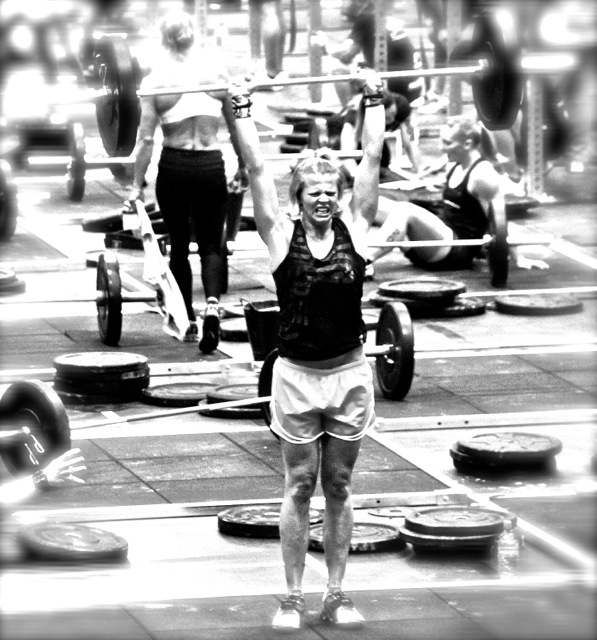 Crossfit is about strength, but REAL strength comes from inside. It is about focus and dedication, and you can’t weave that into any WOD. It is a mindset that allows you to face challenges rather than run from them. This kind of strength is something you have to bring into the box with you. And when you bring it with you, you’re not just using it for yourself, but you are giving back to the Crossfit family. It’s in every fist bump, every ‘good job,’ every smile, every sweaty hug, every kick in the spandex–this is what makes us stronger: all of that positive energy boiling out of one compact place. This is what makes Crossfit stand out. It makes you strong enough to stand, strong enough to move forward. Just stay tight. Don’t get sloppy. Move forward. And listen to your coach cuss yell encourage and your family cheer. You can smile again, when the painful part is over. You WILL come out of this stronger. A little sore, perhaps, but still stronger. This WOD won’t last forever. Keep moving. Please. Keep moving. 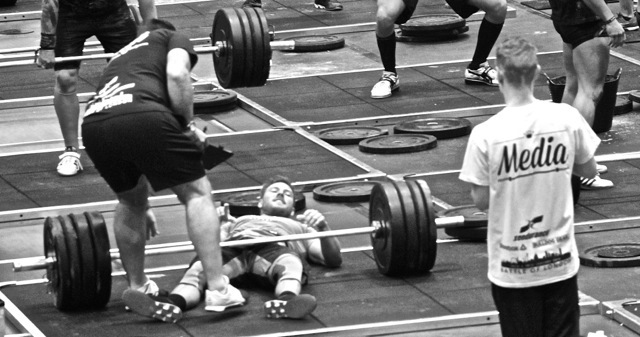 I can’t be certain, but I’m assuming that every Crossfitter, at one time or another, has felt humiliated during a WOD. It’s funny how we’re hardest on ourselves. Or maybe we can become so self-focused that we think everyone else is watching us too? There’s a good reason our coach tells us to leave our ego at the door. It’s because at some point we will look stupid, and it’s easier to peel yourself off the floor and get back to the WOD if your ego isn’t there hindering you. The ego is a master at finding excuses to disrupt a good workout. It will tell you your hands hurt too much, or you’re too tired, or because you’ve never actually done a particular movement correctly, you won’t be able to do it now, or you’ll look stupid when you try and fail. Your ego knows the best lies are rooted in truth. Maybe your calluses DO need to be shaved, or you’re tired from working the night shift, or you have NEVER done a strict pull-up–but unless there are health and safety issues involved (like you are severely dehydrated from partying all night or you have a flesh-eating virus), who the hell cares? At the Battle of London, I could clearly see when ego took over an athlete. That was probably the worst thing to watch. Instead of picking themselves back up, the ego started making excuses. You could see it in their demeanor and body language. They would stare at their hands, hunch over, look down at the ground, laugh nervously, or even shake their heads. One guy had problems with double-unders, which set a tone of failure for the rest of the WOD. I’m not trying to be hard on these athletes, because obviously, they are all skilled; but I recognized in them the same attitude that I often have. Yes, there’s an appropriate time and place for a pause, but what if instead of staring at the bar thinking it’s a million miles away, I just jumped up to the damn thing and pulled? Even if I can’t get my chest up there, at least I would have done some work that would get me a little closer to my goal. Standing around or taking extra ‘water breaks’ doesn’t help me do pull-ups. Yesterday I was rushing through my kettle bell push-press, my arm went wildly backwards, and I dropped the kettle bell on my shoulder. As the kettle bell crashed to the ground, I started to feel SO stupid; and then I remembered what I had just learned at the Battle of London. I gave my ego a quick boot through the door, and instead of rubbing my shoulder or looking around for sympathy, I picked up the kettle bell and started over, with a bit more humility and less sloppy form. I didn’t have the fastest time, but I did the work I was supposed to. One of my goals is to stop making excuses: to remove myself, so to speak, and just attempt the task at hand, no matter what it is. That’s the only way I can meet my goals. With humility and hard work. The dial on my German griddle–it cracks me up. It was over a week ago that I was trying to do a push press with 30kg, and I just could not get the bar over my head. It kept getting ‘stuck’ at my shoulders. I felt SO weak. And it was crazy because I’d been able to do it before (I have it written down in my little book). I really do love to eat–especially when the night is cold and the Pad Thai is hot. But something strange happened to me the past month that hasn’t happened before–I lost my appetite. The only other time I had little to no desire to eat was when I had pneumonia–but this was different. For reasons that could fill a book (were I to write it all out), I’ve been walking around in a pretty bad depression for about a month. It’s not like the Seasonal Affective Disorder I had when I lived in Alaska, where I would just lay on the couch, cry and still manage to eat. This time, I could still function and only tear up a little when people innocently asked, “How are you?” but in addition, I had no food cravings (which is WEIRD because I am addicted to nut butters). My stomach would growl at the usual times, and I would feed it a cucumber. If you Crossfit, you probably know that cucumbers alone don’t make the best fuel for a workout. I admit, I DID enjoy not having any food cravings. And I’m sure part of this whole messed-up episode was the fact that while I couldn’t control my circumstances, I could control food. 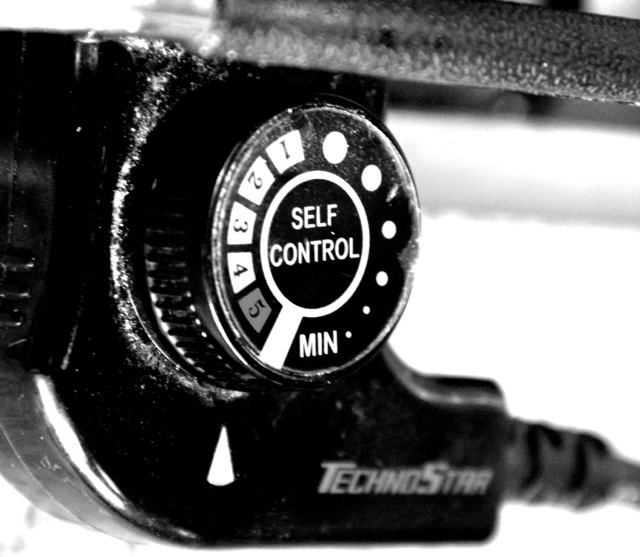 So, I took ‘control’ (however warped) over what I could control, and buckled up to ride the emotional roller coaster from hell. Even though I lost about ten pounds, I can’t say I recommend depression as an adequate weight-loss plan. On the bright side, I’ve re-gained my appetite (but not the ten pounds…yet) and I hope that I can build my strength back up. Our coach says, “F***orget the scale!” and I’m trying. While I was strictly vegan for about a year, I have added meat on special occasions (like steak when we eat out), seafood (shrimp Pad Thai on Fridays), and eggs (every morning). I’m trying to listen to my body, so I can give it what it needs to do the things it wants to do. It will take some work, but I want to be strong–and to do that, ironically, means a little bit of letting go.